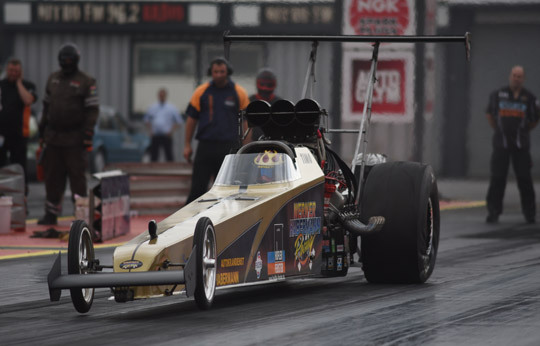 Liam Jones stormed to the number one qualifying position in Top Fuel with a new personal best of 3.98 seconds at the first day of qualifying for the European Finals, the sixth and final round of the FIA European Drag Racing Championship. 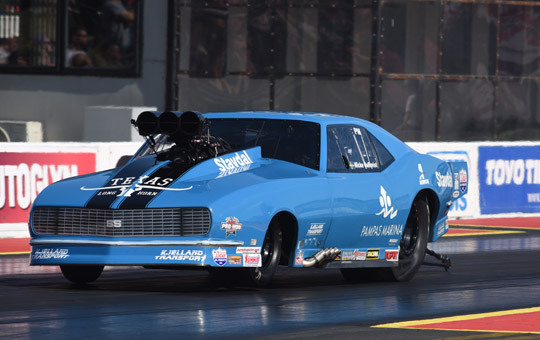 In Pro Modified and Pro Stock championship leaders Michael Gullqvist and Jimmy Ålund lead the field, while in Top Methanol Dragster Timo Habermann was quickest at Santa Pod Raceway. 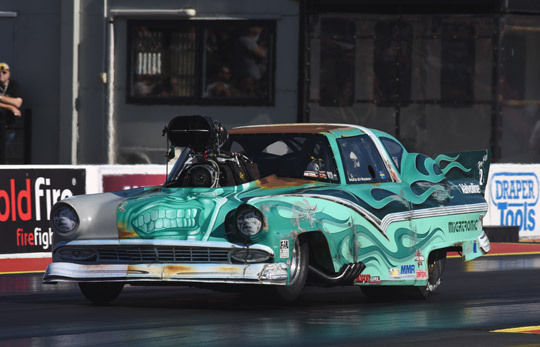 Good weather and great track conditions at the first day of qualifying for the European Finals, the sixth and final round of the FIA European Drag Racing Championship at Santa Pod Raceway. 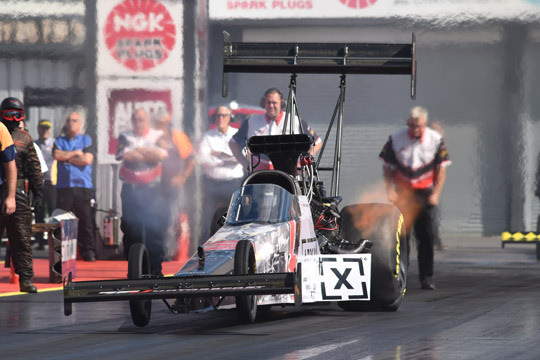 In Top Fuel, where Anita Mäkelä and Stig Neergaard, and in Pro Modified, where Michael Gullqvist, Bruno Bader and Mats Eriksson are separated by only a few points, the outcome of the championship is still completely open and qualifying is extremely important. After a season with ups and downs, Liam Jones wanted to end the season on a high. 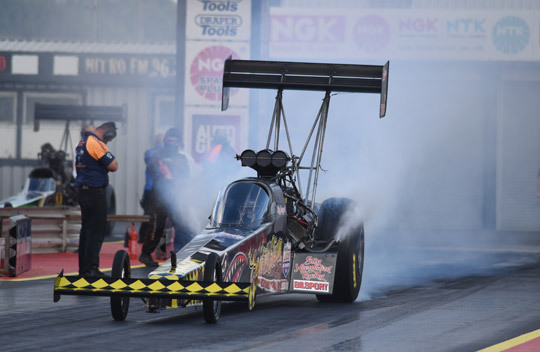 The British driver did that at his home track and recorded 3.98 seconds at 306.91 mph, a new personal best and his first ever 3 second run. 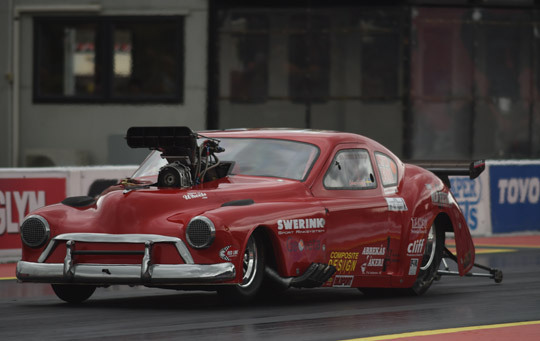 Stig Neergaard, the current number two in the championship, is second after day one, as the Dane recorded 4.08 seconds. 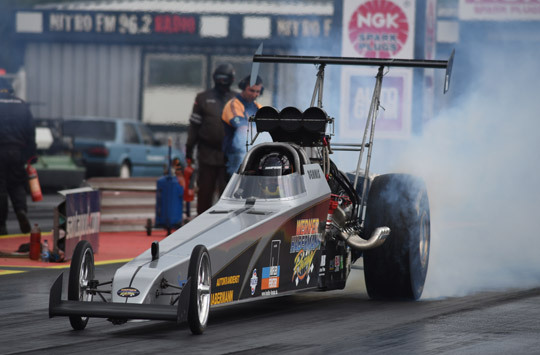 Michael Kågered, the 2015 FIA European Top Fuel champion is third with 4.15 seconds. 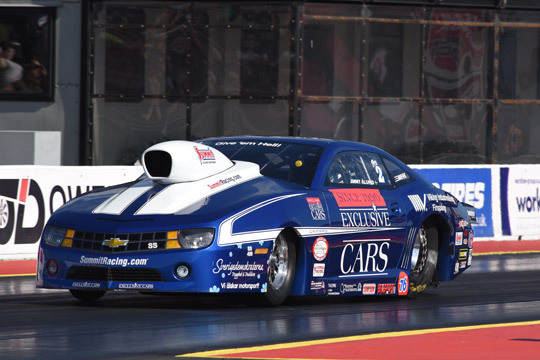 Anita Mäkelä had a far from trouble free Friday qualifying and is fourth with 4.54 seconds. 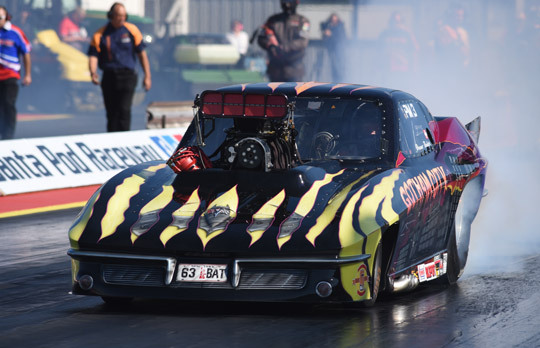 In Pro Modified, Michael Gullqvist was in a class of his own as he was the only driver to make a 5.9 second pass. With 5.91 seconds the Swedish championship leader stormed to the number one qualifying position. In his second run Johan Lindberg recorded 6.00 seconds and jumped into the provisional second qualifying position. 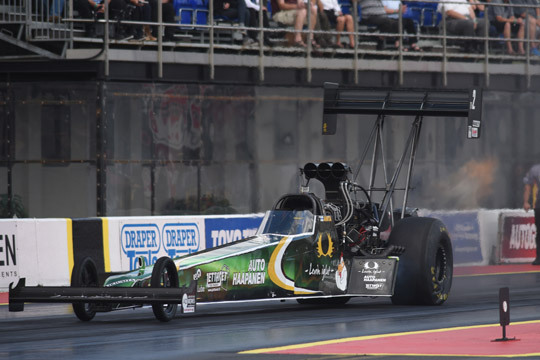 Mats Eriksson, the number three in the championship is also third after two qualifying runs with 6.05 seconds, while Bruno Bader, the number two in the championship, is close behind in fourth with 6.06 seconds. 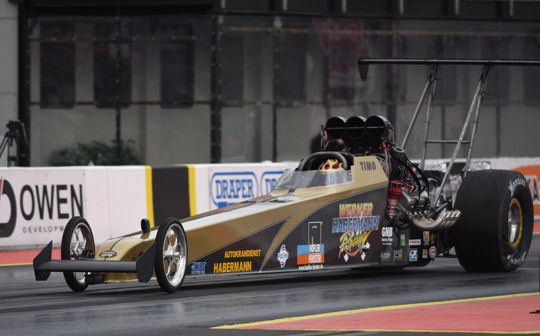 Local hero Andy Robinson is fifth qualifier with 6.13 seconds and Hockenheim runner-up Marck Harteveld surprised once again with a sixth qualifying position and an elapsed time of 6.18 seconds. 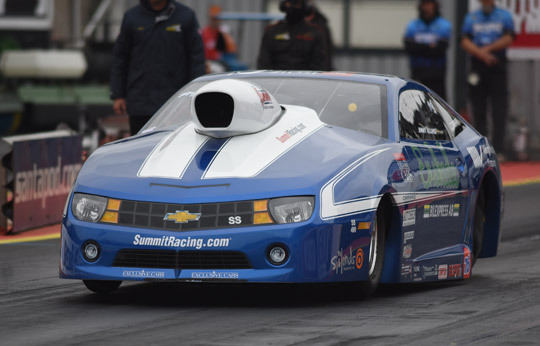 With all 17 drivers under 6.9 seconds, the Pro Modified field is extremely close again. 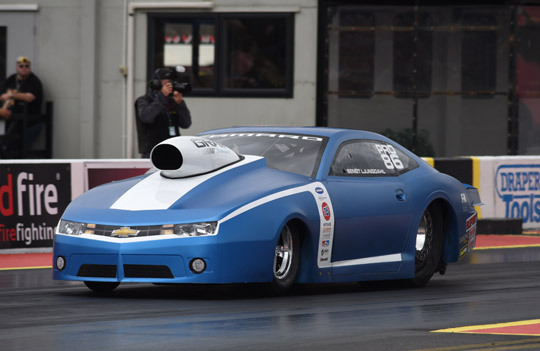 In Pro Stock, Jimmy Ålund, the leader in the championship, is the number one qualifier after day one at Santa Pod with 6.612 seconds. 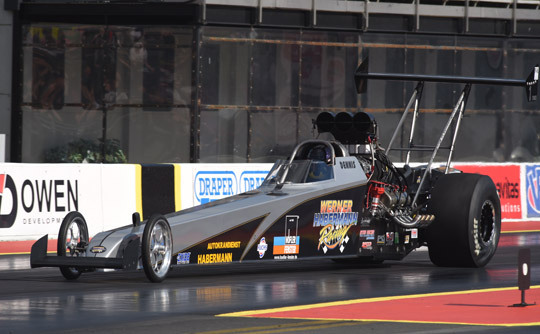 But the difference between the number one and two in the championship, and the number one and two at Santa Pod, couldn’t have been any closer as Bengt Ljungdahl was only 0.001 seconds behind with 6.613 seconds. Magnus Petersson is third and Stefan Ernryd fourth. 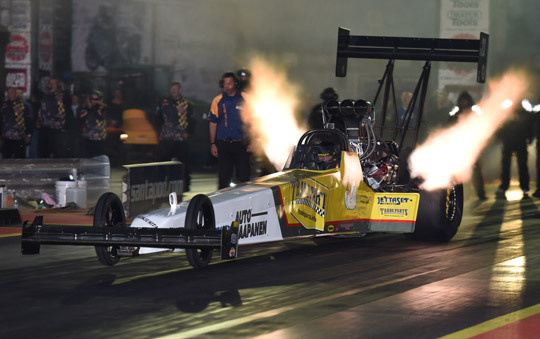 In Top Methanol Dragster Timo Habermann is leading with a great 5.33 seconds, with his brother Dennis Habermann in second position (5.43 seconds). 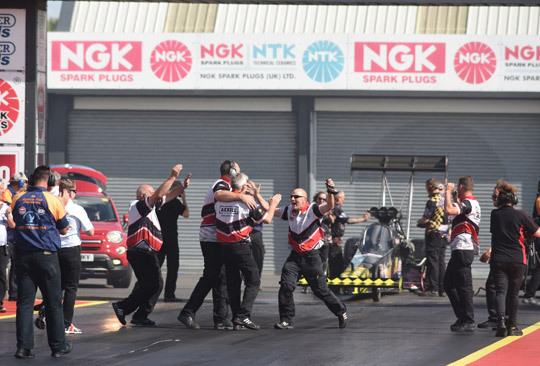 Jonny Lagg, the 2016 FIA European Top Methanol Dragster champion is third with 5.59 seconds and local hero Dave Wilson is fourth with 5.60 seconds. 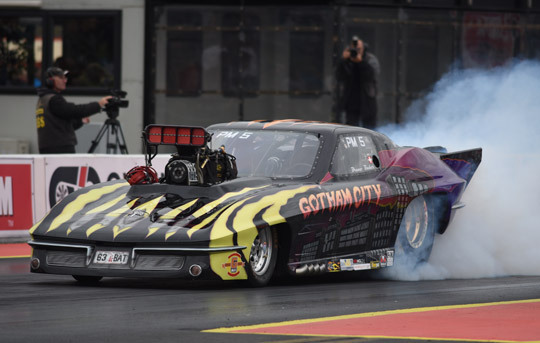 Qualifying for the European Finals continues Saturday morning with two more runs.